Estevan, the 4-month-old baby boy whose medical care was funded on Watsi, had a successful cleft surgery this month. When we posted Estevan’s profile on Watsi, he needed nutritional rehabilitation to prepare him for a safe surgery. He was extremely malnourished from not being able to breastfeed, and his mother could not afford the expensive nutritional supplements, let alone surgery, he needed. 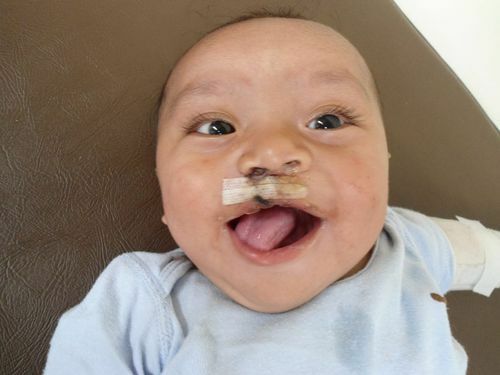 If it weren’t for Watsi donors, Estevan would never have been able to afford this surgery. People helping people is a beautiful thing. How big can you smile?